The more original bluing on guns the greater the value. We have all done it, we missed a finger print on one of our favorite guns and stored it away, only to bring it out later and see it turned into a rust area. If left alone it can pit the bluing and decrease the gun’s value. Good news is Big 45 Frontier Metal Cleaner can easily remove this rust with no harm to the bluing. Differences in condition can easily half or double the value of a collectible gun. Wild Bill Nelson, the inventor of Big 45 Frontier Metal Cleaner is credited for “saving many collector firearms over the 50 years since Big 45 was developed”. 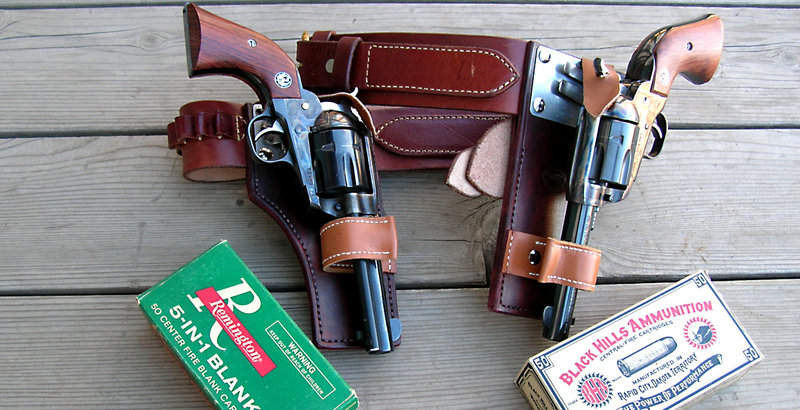 One of the most important items in distinguishing the value of your collectible gun is the “Original Finish (Bluing)”. “Blue Book of Gun Values” uses original bluing for valuing guns. Blue Book of Gun Values by S. P. Fjestad is widely used by collectors and dealers and is an excellent price guide to determine values of antique guns. It has become the industry standard for valuing firearms. It uses the PERCENTAGE OF ORIGINAL FINISH SYSTEM for grading collector firearms. It refers to the percentage of a gun’s remaining finishes, including bluing, case colors, nickel, or another type of original finish remaining on the frame and receiver. Go to www.bluebookofgunvalues.com for complete information. Be careful not to confuse that with “shiny” finish. If a gun has been re-blued somewhere along the line, that can make it desirable as one to carry and shoot, but almost always decreases its value so it is best to retain the original bluing.